The comely English actress Jill Haworth made her mark in the movies already as a teenager, appearing in close succession in three movies directed by Otto Preminger: Exodus (1960), The Cardinal (1963), and In Harm’s Way (1965). She then gave her sole performance on Broadway, and in grand style – as the original Sally Bowles in the hit musical Cabaret (1966). Born in Sussex, England, on August 15, 1945, Haworth first achieved fame playing Karen Hanson, the young Danish girl in Exodus, the love interest of Dov Landau, played by Sal Mineo with whom Haworth briefly became romantically associated in real life. The war film, based on Leon Uris’s novel of the same name, won several awards, including a Golden Globe for Best Supporting Actor for Mineo. Haworth made three films in France, then in her next Preminger film, The Cardinal, based on the novel by Henry Morton Robinson, played Lalage Menton; the film won a Golden Globe for Best Motion Picture Drama. Two years later she had a role in In Harm’s Way, Preminger’s film about naval officers during World War II starring John Wayne and featuring such Hollywood heavyweights as Kirk Douglas, Burgess Meredith, and Henry Fonda. Haworth played a nurse who is raped and later commits suicide. The gorgeous blonde on the silver screen became a brunette (by means of a dark wig) in 1966 in her next part, which would be her first starring role, her very first singing role, and would mark her only stint on Broadway. She was the original Sally Bowles – the outspoken free spirit created by Christopher Isherwood in Goodbye to Berlin – in the Kander and Ebb musical Cabaret. She was the first to entice her listeners with the words, “What good is sitting alone in your room? / Come hear the music play. 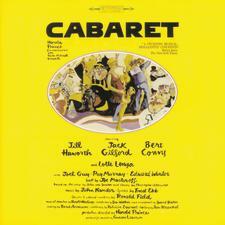 / Life is a Cabaret, old chum, / Come to the Cabaret.” Alongside her on stage were Joel Grey (who would reprise his role as Master of Ceremonies in the film version) and Austrian veteran singing actress Lotte Lenya. 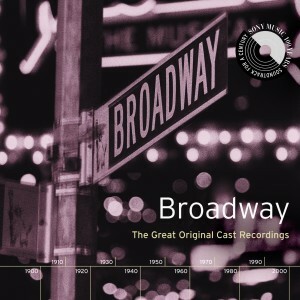 Running for 1,165 performances, the musical was a major hit, winning numerous Tonys, including Best Musical. After two years of Cabaret, Haworth appeared in several horror movies and television series, including “Mission: Impossible,” “Bonanza” and “Baretta,” but her career never regained its momentum. In later years she had roles in “The Rogues,” “The Long, Hot Summer,” “12 O’Clock High,” “The Outer Limits,” “The FBI,” and “Vega$.” She also did voiceover work.